The Kellogg Community College softball team’s winning streak rose to nine games Wednesday after the Bruins swept a home doubleheader against conference opponent Ancilla College at Bailey Park in Battle Creek. It was a complete shutout for the Bruins, who held the Chargers scoreless for both five-inning contests. Below are results for Wednesday’s games. To sign up to receive KCC softball results by email, visit www.kellogg.edu/softball and fill out the “Get KCC Athletics Results by Email” form on the left side (desktop) or bottom (mobile) of the page. KCC took game one of the afternoon doubleheader against Ancilla 10-0. On offense for the Bruins, sophomore pitcher Kylie Masko (Grand Haven/Grand Haven High School) hit 3-3, including two doubles and three RBIs. Sophomore infielder Tyler Snyder (Portage/Portage Central High School), sophomore infielder/outfielder Dakota Keating (Springport/Springport High School) and sophomore infielder/outfielder Kimberly Kucharczyk (Battle Creek/Lakeview High School) all hit 2-3, with Snyder adding a home run, a double and three RBIs and Keating adding two RBIs. Sophomore pitcher Alexa Stephenson (Battle Creek/Pennfield High School) got the win, pitching all five innings, striking out eight and allowing three hits. KCC’s Head Softball Coach Mike Miller said the Bruins led early, starting the game with two runs in the bottom of the first. KCC took game two of the afternoon doubleheader 9-0. Masko and Snyder led again on offense, with Masko hitting 3-3 including two doubles and an RBI and Snyder hitting 2-3 including two doubles and three RBIs. Keating hit 1-2, including a triple and an RBI; Kucharczyk hit 1-2 with an RBI; and freshman infielder Katelyn Leckie (Parchment/Parchment High School) hit 1-3, including two RBIs. Masko got the win defensively, pitching all five innings and striking out four while allowing just one hit. The latest wins bring the Bruins’ overall record to an even 16-16. The team’s Michigan Community College Athletic Association record is 15-9. The Bruins play next starting at 1 p.m. Friday, May 4, against conference rival Kalamazoo Valley Community College in Kalamazoo. 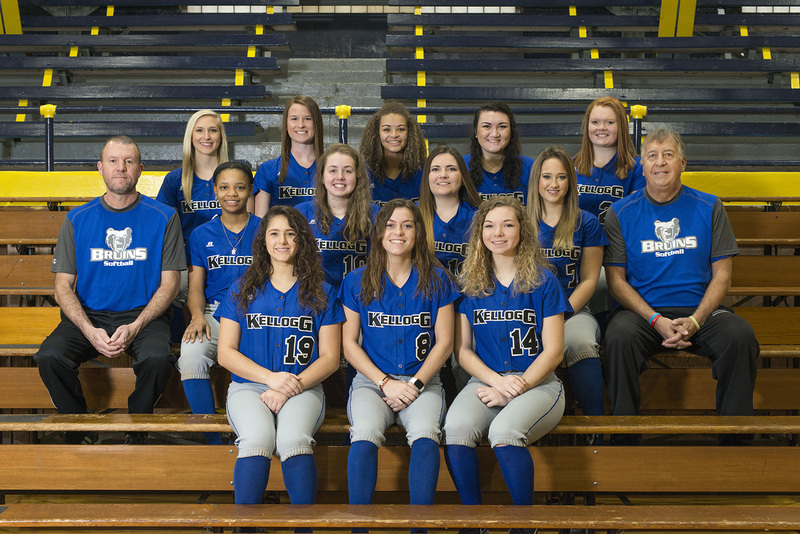 For more information about KCC’s softball team, including a full schedule, roster and links to official team and player photos available for download by fans and the press, visit www.kellogg.edu/softball. Coach Miller can be reached at softballcoach@kellogg.edu.